A dynamic great room space! 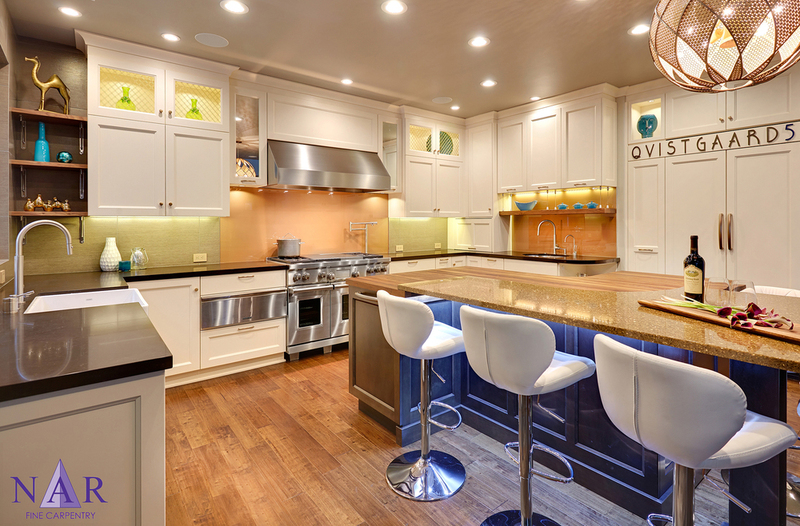 The classic white shaker style kitchen is revolutionized with warm accents on the island, a modern glass panel back splash in a copper finish, and oil-rubbed bronze hardware. The adjoining guest bathroom was remodeled with sleek modern finishes to flow with the design of the great room.